Even as cloud accounting software becomes more popular, millions of loyal users still rely on QuickBooks Pro, Premier, and Enterprise. Considering how powerful these products are, this isn’t too surprising. And for users who have been with QuickBooks Desktop for years, it’s understandable to want to stick with what you know. Still, using desktop software in this day and age can create some hurdles for your business. If you’re often on the go, you may face an overwhelming amount of data entry when you return to the office. If you use cloud apps to manage other aspects of your business, you may not be able to connect them to your accounting data. And if multiple people on your team need access to QuickBooks, you have to be mindful of license limitations. It’s enough to make you wonder if switching to QuickBooks Online is inevitable. Luckily, you don’t have to choose between living with these restrictions or finding new accounting software. Instead, a QuickBooks-integrated CRM offers the best of both worlds. 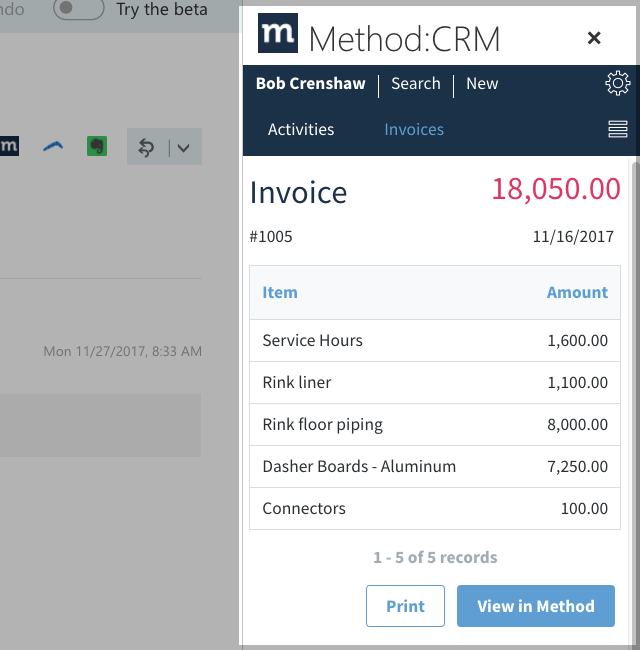 Method is a cloud CRM system that opens new doors for desktop devotees through its real-time, two-way sync with QuickBooks. By extending the power of your accounting software beyond the desktop, Method empowers businesses to stay competitive in a fast-changing environment. Here are 4 ways that Method:CRM helps QuickBooks Desktop customers use their accounting data more effectively. 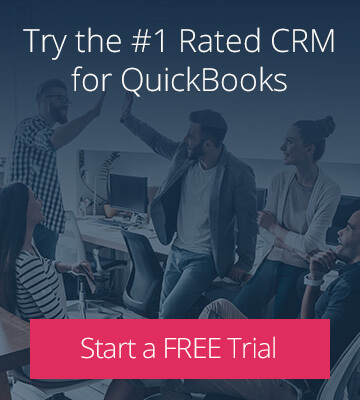 At one point, using a QuickBooks Desktop product literally meant that your accounting software lived on a desktop computer. When you left the office, your customer data stayed behind. Today, QuickBooks may be installed on your laptop, but this isn’t a foolproof solution for data access. Sure, the computer is portable — but what if your battery dies or you spill your drink? Thankfully, using cloud CRM software allows you to access your QuickBooks data anytime on any device. 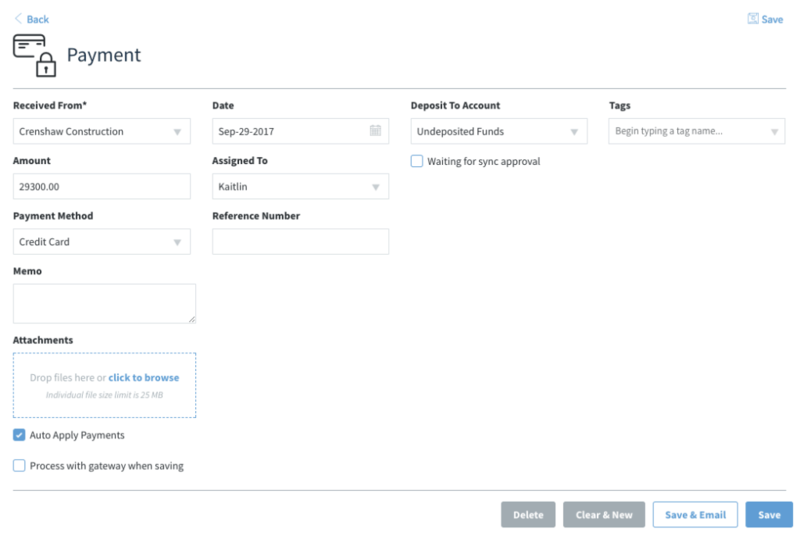 When you first connect Method and QuickBooks, your existing customers and transactions will automatically sync to your CRM. From there, you can enter new data or update existing records and the changes will immediately appear in your QuickBooks file. So don’t panic if you spill coffee on your keyboard first thing in the morning — just borrow someone else’s laptop and get right to work. If you’ve already embraced cloud technology, you may host your QuickBooks file using a service like Right Networks or gotomyerp. These services allow users to stick with their familiar desktop software while enjoying access on any internet-connected device. However, just because you can access the data, doesn’t mean it’s user-friendly. Those using a remote desktop app may find it difficult to navigate QuickBooks on a small smartphone screen. Another perk of cloud CRM software is the availability of native mobile apps. Method:CRM offers mobile apps for both iOS and Android, and the Method interface is optimized for every screen size. This allows users to do everything from checking balances to processing payments with ease, all while on the go. For busy small business owners who live and die by their smartphones, this level of convenience is a game-changer. Beyond the question of how to access your QuickBooks Desktop data, there’s also the question of who can access it. For the sake of data security, many business owners and accountants prefer to limit employee access to QuickBooks. But this means you need a workaround for employees whose roles require them to view or update customer information. Method’s deep integration with QuickBooks gives these users the functionality they need. Customer support staff can look up past purchases, marketers can export customer email addresses, and sales reps can create invoices and process payments — all without direct access to QuickBooks. You can even set user-level permissions to determine who can modify existing data and who can simply view it. In this way, every employee is equipped to do their job well. Better yet, they can do so simultaneously, on any device, and with no impact on your QuickBooks license count. QuickBooks is powerful accounting software, but accounting is just one part of your business. 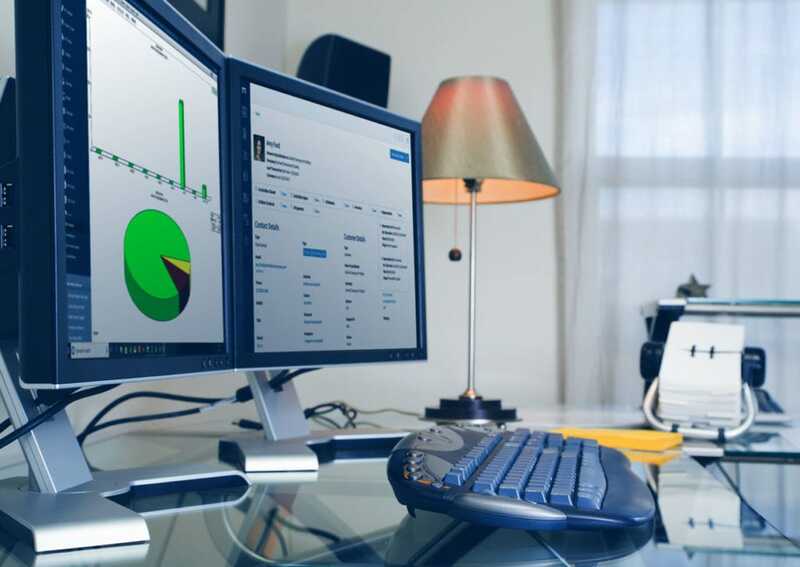 To make the most of the data in your QuickBooks file, it’s helpful to connect it to other aspects of your operations. However, desktop accounting software typically has fewer integration options than cloud software does. That’s where Method:CRM comes in. Method’s patented sync with QuickBooks Desktop makes it possible to view billing and transaction data alongside CRM-specific data like customer activities, support cases, and sales opportunities. With a 360-degree view of each customer, your team can provide top-notch customer service. Furthermore, Method also integrates with popular applications like Gmail, Outlook, and MailChimp, allowing you to leverage your QuickBooks data in new contexts. View customers’ past transactions in your email inbox, create marketing campaigns based on purchase history, and so much more. QuickBooks Desktop products are a cornerstone of the accounting world, and that isn’t likely to change anytime soon. However, they have some limitations related to data access that can cripple a modern business. 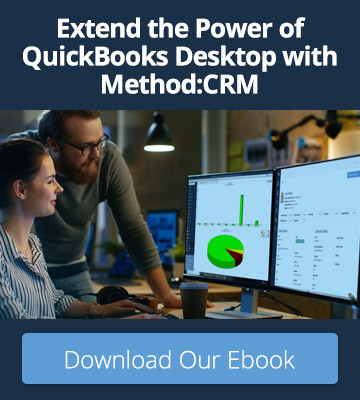 Method:CRM helps to bridge the gap between QuickBooks Desktop and the cloud, giving users the freedom to work whenever and wherever they want.